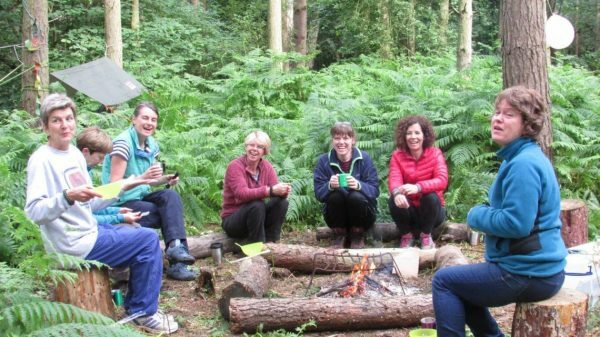 Bushcraft and Wild Camping experiences take place in picturesque woodland just off the A19 near Huby, on the outskirts of North York. The experience is offered as a half-day session (morning, afternoon or evening). Minimum age for child groups: 8 years. Minimum age for family groups: 4 years. For child groups (age 15 and under) at least one non-participating adult to be present as a ‘supervisor’. Maximum spread of ages between youngest and oldest for child groups: 2 years. A half-day session of 3 hours (morning, afternoon, or evening starting 10:00, 14:00 or 18:00) costs £180. 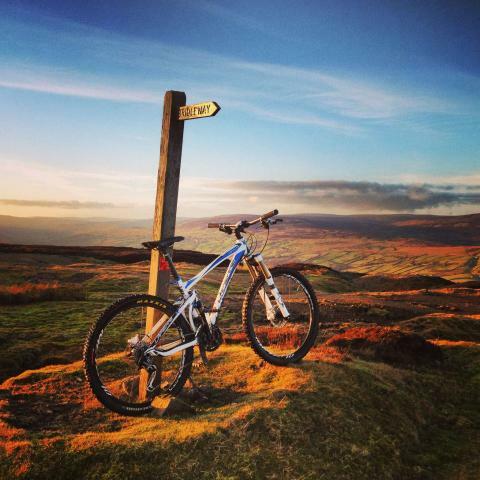 Please note, evening sessions start mid April to end August. This lasts 3 hours, either morning, afternoon, or evening starting at 10:00, 14:00 or 18:00 respectively. Price £180. Evening session only available mid April to end August. Fire and Food. 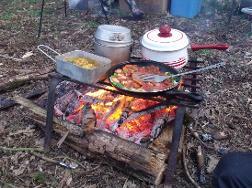 Building and lighting a campfire and cooking a snack on it. Pioneering. Learning how to lash poles together and creating a bridge to climb over. 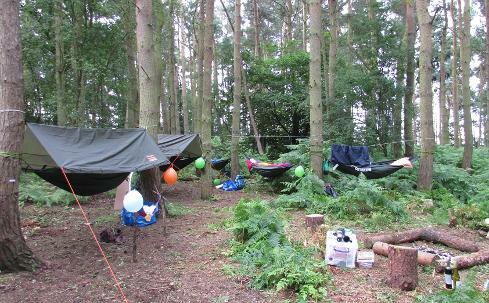 The setting for our Forest Quest Bushcraft and Campfire experience is Tindal Wood, just off the A19 near Huby, York. 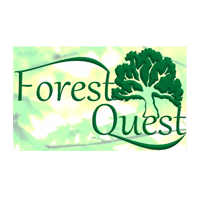 Forest Quest is run by husband and wife team Andrew and Kath Garner who are absolutely passionate about their philosophy that valuable life-skills can be developed through meaningful and achievable outdoor activities.. This is an unusual and memorable gift for a group of up to eight people (children aged 8 or over, adults or family groups) who would love spending time together in a peaceful, magical setting learning new and transferable skills under Andrew’s gentle guidance. Enjoy a fun half-day session (morning, afternoon or evening) of the bushcraft and campfire experience. We would particularly recommend this experience for a group of up to eight friends or as an alternative ‘hen do’ activity. 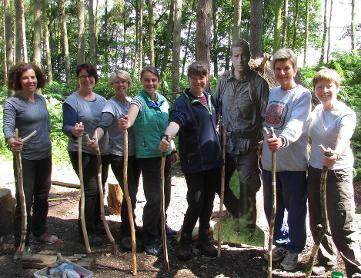 Forest Quest also run a two hour bushcraft experience for up to 6 people.